Let me first start by saying I realize most of my creations are not original. However, in my defense, most of them were original to me. 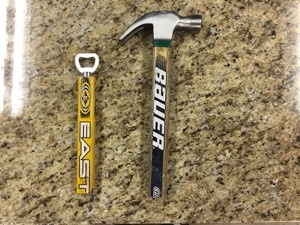 That’s one of the negatives to the ww web - you’ll come up with what you think is a great idea, and then you’ll google “Hockey Stick Toilet Plunger” and you’ll not only find hundreds of pics of them, but someone is selling them on their Etsy store or something. 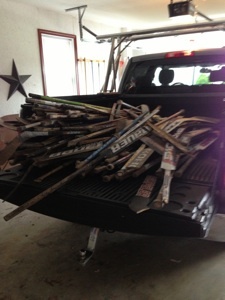 I’m just a guy with a workshop, and a buddy who’s a Zamboni driver. 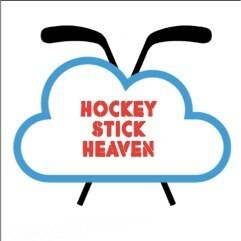 I love to make things, and I love hockey. 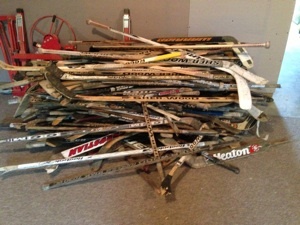 I’m not an earth freak, but I do like the idea of keeping broken sticks out of landfills. 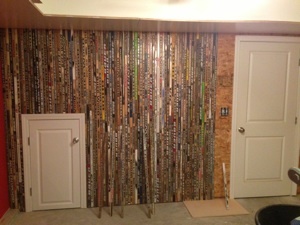 My buddy collects sticks for me at the rink, and at some point I collect the sticks from him and make stuff with them. 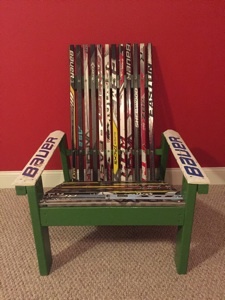 Below are some pictures of some things I’ve made with broken hockey sticks. I have a ton of other ideas, but really no place to put them after I’ve built them! I can make you something if you’d like, or you can just come by and check out my work. 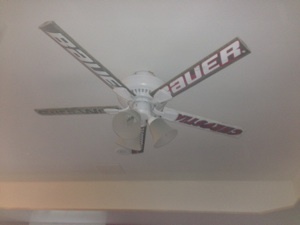 No one’s getting rich here, I donate all the proceeds to my son’s youth hockey program. So reach out to me if you want me to make you something, tell me you like my stuff, or tell me you think I’m a idiot. Either way it’s nice to know. I even entered this whole snapface media movement and went and got myself an instagram account.